Become a member of Cumbria CVS and you will have access to discounts and offers with the following suppliers of essential services. Markel Direct – Charity Insurance A specialist insurer of thousands of charities, community groups and not-for-profit organisations with a range of comprehensive covers. 10% discount to CVS members. Carlisle Business Supplies (CBS) The largest independent office supplies company in the area, offering first class efficient service, competitive pricing and outstanding order fill rates. Reduced prices for CVS members. H&H Reeds Printers Cumbria’s largest supplier of printing, signs and display services. 10% discount off standard prices for CVS members. Reeds will match and better any genuine like for like quote by a further 5%. 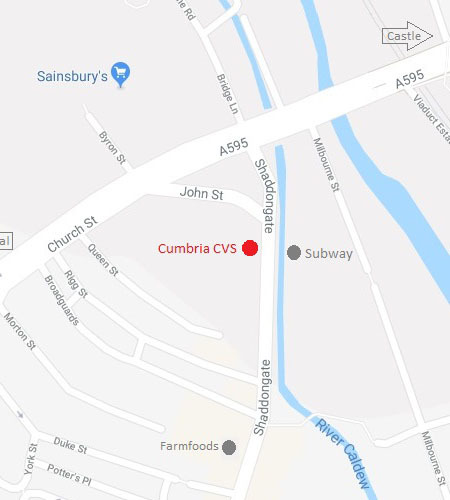 Although Cumbria CVS displays information about third-party suppliers, such actions do not in any way imply, suggest, or constitute Cumbria CVS’s approval of third-party suppliers. Cumbria CVS does not endorse or recommend the products or services of any third-party suppliers and is not responsible for the accuracy or completeness of information relating to third-party suppliers contained on this website.